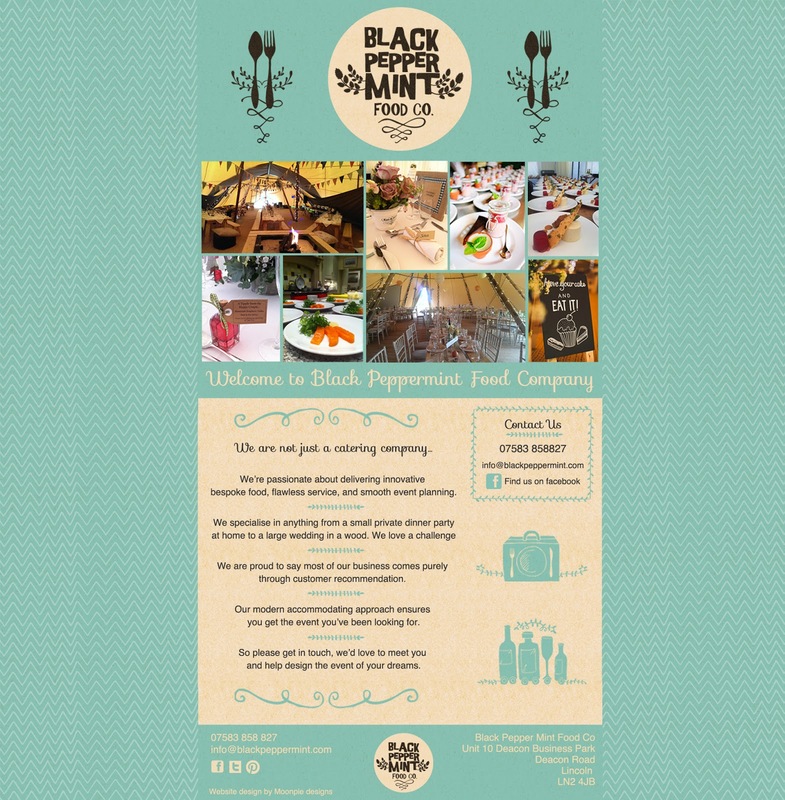 Moonpie Designs: Black Pepper Mint Food Co.
Black Pepper Mint Food Co.
Over the past year I've had the great pleasure of working with the exciting 'Black Pepper Mint co.'. Originally I was given the job of updating their logo design and creating a website page for them, the brief has since expanded and we've been working creating a brand that they could roll out across all their printed and social media platforms. 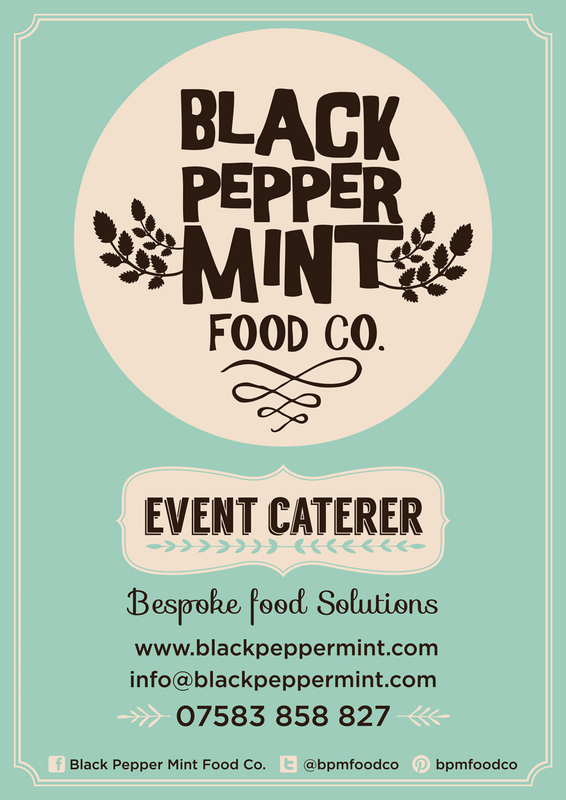 As a event catering company the Black Pepper Mint Company excel in giving a great quality service, delivering bespoke food and innovative event planning for everything from a small party to a large wedding. So far they've built their business through customer recommendations but as their popularity has increased they felt they needed a brand to reflect the modern approach and quality service they provide. I for one can recommend working with them!